SANTA CRUZ, Calif., (November 18, 2014) – Zero Motorcycles, the global leader in the electric motorcycle industry, announced today that the Burbank Police Department purchased police motorcycles from Zero to add to the department’s patrol fleet. Zero developed the Zero SP, Zero DSP and all-new Zero FXP models to meet the specific requirements of law enforcement and security agencies. Powered by the 100% electric Z-Force® motor, the Burbank Police Department selected the Zero DSP motorcycle for its stealth, versatility, low cost of operation, hassle-free maintenance, and minimal environmental impact. The motorcycles will be used daily upon Burbank city streets and off-road areas. The dual sport capability of the Zero DSP is particularly valuable in patrolling areas that have extreme fire danger, allowing officers quick and silent access where previously only helicopters may have operated. “Zero Motorcycles designed and engineered the police motorcycles based upon direct feedback from patrol officers. We are honored to have the continued support of law enforcement and security agencies and are thrilled that the Burbank Police Department will be using Zero police motorcycles in their fleet,” said Kevin Hartman, Zero Motorcycles fleet sales director. The delivery of the motorcycles was arranged through Zero Motorcycles’ local dealer, Hollywood Electrics. 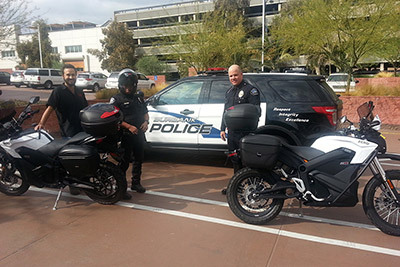 “The Burbank Police Department's enthusiasm for the Zero Motorcycles patrol models has been evident since we began working with them earlier this year, and we are excited to have them on board,” said Harlan Flagg, owner of Hollywood Electrics. Zero police motorcycles are fully electric and designed exclusively for police and security departments as a cost effective means to patrol a wide variety of terrain and excel in areas with noise and pollution limitations, including indoors. Patrol models are fully equipped with pursuit emergency lighting and sirens, safety components, and functional storage options to carry gear, patrol items, and emergency medical equipment. In addition to the Burbank Police Department, Zero continues to work directly with over 30 international, national and local law enforcement, security and military agencies to expand their motorcycle fleets and integrate the use of Zero Motorcycles. For detailed information regarding Zero’s Police line-up, including video testimonial, please visit www.zeromotorcycles.com/fleet. 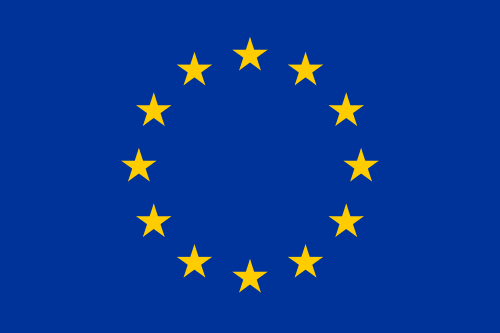 Hollywood Electrics is the world’s leading retailer of electric motorcycles. With the largest selection of electric two-wheeled vehicles in the world, Hollywood Electrics offers a unique “Electric First” understanding of the industry. Hollywood Electrics is particularly known for Performance Kits for EVs. Founded in 2009, Hollywood Electrics is the #1 Zero Dealership worldwide. For more information about Hollywood Electrics, please contact Thomas Ito at (323) 654-8271 or tom@hollywoodelectrics.com.